Repairing or replacing windows – there’s a lot to consider, including the benefits of upgrading to energy efficient glazing. Here’s some advice to help you decide. The decision about whether to repair or replace windows can be challenging. 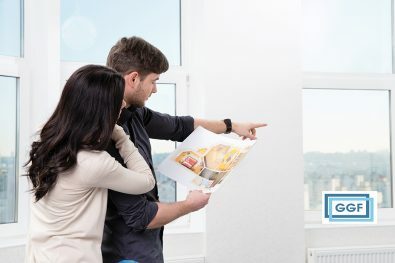 Just like any home improvement it is important to think about costs and potential savings in the short term as well as over a longer period. This is especially pertinent for glazing in the home because upgrading to windows with a higher energy efficiency rating has the potential to reduce your annual household energy use. So when considering window repair or replacement it can be helpful to bear in mind the potential savings you could gain by installing windows with a higher level of energy efficiency. You can calculate these potential savings using the GGF Energy Savings Calculator – an easy-to-use online tool that lets you compare different energy ratings and try out various window replacement scenarios. The importance of properly maintaining the windows in your home cannot be overstated. That’s because in addition to potentially affecting the value of your property, the condition of your windows can have a significant effect on both how comfortable your home is to live in and how much energy is required to heat and cool your living areas. 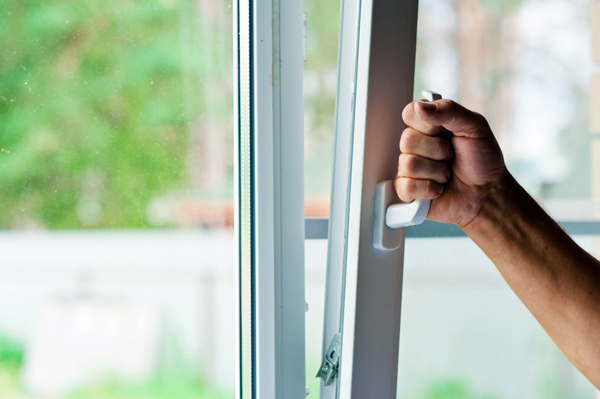 To help identify problems with your windows and the best course of action to take, we have provided some expert guidance in four easy steps. Inspect your windows for any evidence of rot (timber windows) or other damage to the hinges or jambs (the vertical parts that form the side of a window frame). Check if any of the seals are damaged, and if there are any chips in or around the glass. Windows can be damaged by the sun, water and other weather exposure, so check for signs of this. 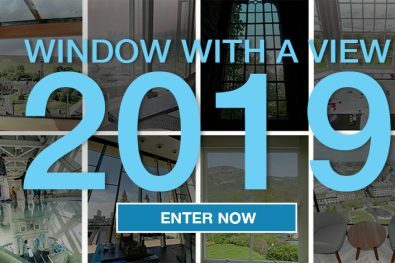 If your windows have any of these faults which are compromising their performance or aesthetic looks (or both), you may wish to consider getting them repaired before any further damage occurs. Can you open and close your windows? Sounds obvious but sometimes windows stick due to paint, heat expansion or a broken handle. Also, check if there are any noticeable draughts. All of these are signs your windows may need repairing. On rare occasions you may see condensation between the panes of a glass sealed unit where the seal of the sealed unit have failed. If so, the sealed unit will need to be replaced and this can usually be done quite easily by your window repair company, although they will have to take exact measurements to order a sealed unit specific to size. Window quality may well be affecting your heating bills. If you have single glazed windows, then it could make a tremendous difference to the comfort of your home and your heating bills if you were to replace them with energy efficient double or triple glazed windows. New energy efficient glazing has the ability to reflect heat back into the room due to a low-emissivity (“Low E”) coating which has the effect of reducing heat loss through the windows. Instead of replacing your windows, a less expensive option to improve energy efficiency would be to consider installing secondary glazing inside your existing windows, to form “double glazing”, however your existing windows must be in excellent condition. Are you affected by noise? If you live near noisy roads or other types of noise disturbance, then you can improve your living comfort by replacing windows to double or triple glazing that can reduce the passage of sound. Glass sealed units with enhanced acoustic options are available to reduce the noise further. Again, if you wish to reduce noise and keep your existing windows, installing secondary glazing is a less expensive option. And for noise reduction, the bigger the gap between your existing windows and the secondary glazing the better. The head and jambs of the windows within that gap can then be lined with acoustic material if desired to further reduce the noise levels. It is important to ensure that adequate ventilation is maintained when replacing your windows. This will allow for good air flow and reduce the risk of condensation on the inside of the windows. Older homes – It‘s hard to decide if you should replace windows when they are original features of the house. If your home has stained or leaded glass, then replacing them could reduce the value of your home. However, the good news is that these days window manufacturers can replicate your stained or leaded glass in energy efficient replacement windows. If you have a home which is centuries old and listed, then you will need to obtain permission from your local planning officer for any changes. There are specialist glass suppliers who can locate such replicas of centuries-old glass if pieces are damaged. Similarly, if your home is in an area covered by an “Article 4 Direction”, then you will need to obtain permission from your local planning officer for any changes. Homes in Conservation areas have permitted development rights and do not need planning permission to change windows, so long as the replacement windows are of similar aesthetics to your existing ones. If you are unsure about whether to repair or replace windows in your home, it’s a good idea to talk to a glazing professional who can advise you on your options and provide quotes if necessary. Find your nearest GGF Member company.